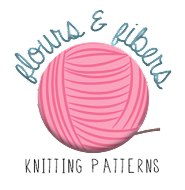 Flours & Fibers: Knit & Knot: Fall Retreat Details! Knit & Knot: Fall Retreat Details! The retreat will soon be here! Below are some of the details. If you are thinking about joining us, sign up soon! The registration deadline is this Friday!! Time: Friday, 4:00 PM - Sunday, 2 PM. First meal will be served at 6:30 PM on Friday. Payment: Total cost for the retreat is $175. Down payment to hold your spot is $50. Payment can be cash or check made out to Joy. Final payment is due November 1st (the first day of the retreat). Food: Meals are provided (Friday Dinner through Sunday Lunch). You make bring any snacks you’d like. There is a full kitchen at our disposal. Lodging: The lodge has 15 rooms with two twin beds. If all rooms are not filled at the time of the conference, you may spread out and claim a room all to yourself! Accomodations: All linens and towels are provided. The kitchen is fully stocked with dishes. Registration Deadline: The deadline for registration is FRIDAY OCTOBER 18th. We need to provide head counts for food at the end of the day. You may register by dropping off your down payment at Knit & Knot (see contact infomation above).